#02 Jolly Rancher Apache Stove Buick driven by Mark Martin in the 1982 season. #02 Prototype Racing Engines Buick driven by Mark Martin in the 1982 season. #07 K-Mart Thunderbird driven by Jeff Brabham in the 1995 Brickyard 400. Decals for the 2002 Stohl Ford Focus RS WRC. 1/24 Scale. #1 McDonalds Chevy SS driven by Jamie McMurray at Darlington in 2017. #1 Tracker Impala Jamie McMurray 2010 Daytona 500 Winner. 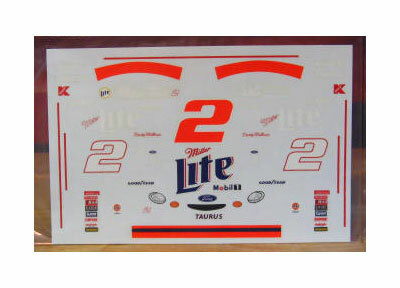 #2 Discount Tire Ford Fusion driven by Brad Keselowski in 2018. 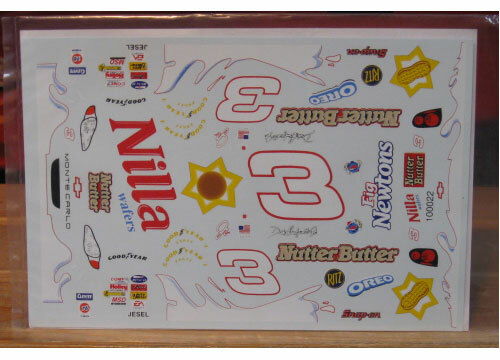 #3 Nilla Wafers Monte Carlo driven by Dale Earnhardt Jr in the 2002 season. 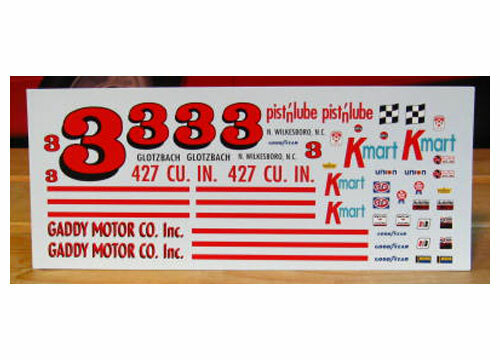 #3 K-Mart Pist'n Lube Monte Carlo driven by Charlie Glotzbach in the 1971 season.